Plaka, known as the “neighborhood of the gods,” is the old historic neighborhood of Athens, clustered around the northern and eastern slopes of the Acropolis, incorporating labyrinthine streets and neoclassical architecture. Adrianou Street (running north to south) divides it into two areas: the upper level, - Ano Plaka - located right under the Acropolis and the lower level - Kato Plaka - situated between Syntagma and Monastiraki. Plaka was developed mostly around the ruins of Ancient Agora of Athens in an area that has been continuously inhabited since antiquity. During the Greek War of Independence, Plaka, like the rest of Athens, was temporarily abandoned by its inhabitants because of the severe battles that took place in 1826. The area was repopulated during the first years of King Othon's rule. In 1884 a fire burned down a large part of the neighborhood but gave the opportunity for the archaeologists to conduct excavations in the Roman Market and Hadrian’s Library. Excavations have been taking place continuously since the 19th century. 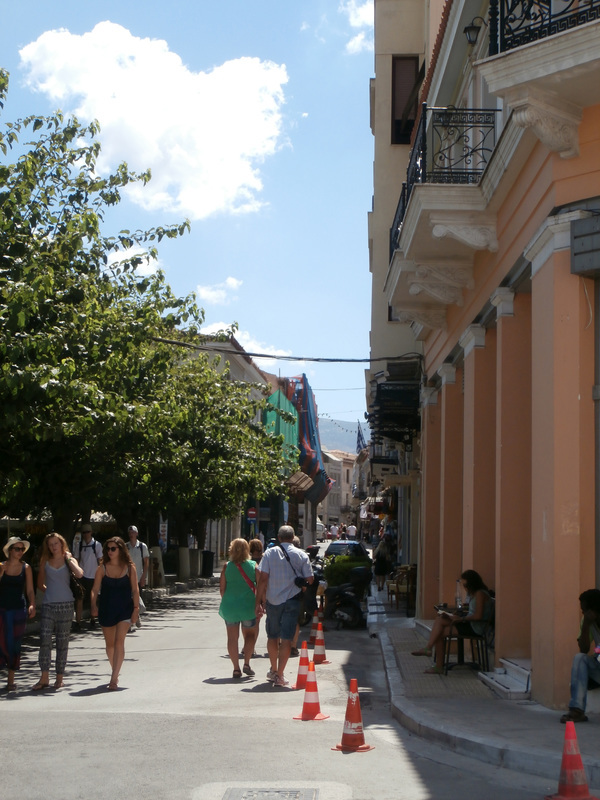 Plaka is visited by hundreds of thousands of tourists around the year, and is under strict zoning and conservation regulations. This is the only neighborhood in Athens where all utilities (water, power, cable television, telephone, internet, and sewage) lie underground in fully accessible, custom-made tunneling. Stroll through Plaka's narrow streets, some for foot traffic only, and enjoy a multitude of shopping choices from tiny shops with a local flavor to classy boutiques, resting at one of the several cozy cafes or enjoy one of the many tavernas with tasty Greek food. 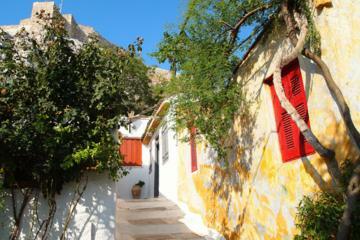 ﻿Anafiotika is a small part of the old historic neighborhood of Plaka. It lies in the NE side of the Acropolis hill. 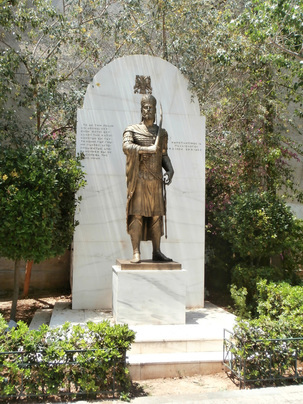 The first houses were built in the era of King Othon of Greece when workers from the small island of Anafi came to Athens in order to work in the construction of the king's palace. Soon, workers from other Cycladic islands also started to arrive there, to work as carpenters or stone and marble carvers, in a subsequent reconstruction period in Athens, but also in the following era after the end of the reign of King Othon. In 1922, immigrants from Minor East also settled here, enriching the population that was up to that time only from Cycladic islands. In 1950, part of this neighborhood was destroyed for archaeological research and in 1970 the state started buying the houses. Today there are only 45 houses remaining, while the little streets from Stratonos Street to the Acropolis rock are still unnamed and the houses are referred to as "Anafiotika 1", "Anafiotika 2", etc. In the Plaka area, we strongly recommend Electra Palace a centrally located, excellent 5-star hotel for your stay. Several stores, mostly with traditional Greek products, street food and tourist memorabilia line the streets of the area. Make sure the souvenir you decided to buy for your loved ones back home as a reminder of your trip to Athens is not made in China. There are quality products, of high taste hand-crafted or manufactured in Greece, but one needs to search for them. Museums in Plaka include the Jewish Museum of Greece, the Frissiras Museum, the Museum of Popular Music Instruments, the Museum of Pavlos and Alexandra Kanellopoulos and the Athens University Museum.